Bringing new people into your business can be challenging and you might worry about how they fit with the existing team or how they will perform. You might even be concerned with how clients respond to them; and indeed whether you have time to go through a selection process in the first place? It is worth bearing in mind that research indicates that the cost of recruiting a bad hire can be between 1.5-3 times the person’s salary. And getting it right makes a huge difference. Gallup research found that people who enjoy their jobs and work to their strengths deliver 10-20% higher performance than people who don’t really like their work. So it pays to get the right person in the job. We’ve produced a training webinar and all the templates you need to recruit the best people for your business and you can watch our little teaser video to find out more. 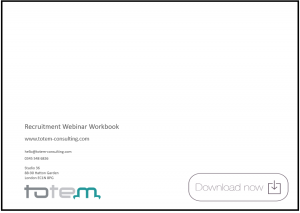 The webinar and associated workbook walks you through the key stages of recruitment, best practice and gives you tips and ideas for making it a useful and hassle-free process. Use the workbook and webinar together build your knowledge. This has tools and techniques for exploring what good looks like and working out how you might be able to see that in potential candidates. It is without doubt, time well spent and will help you get things right from the start. This is about attracting the right types of candidates so that you have a pool of potential recruits to choose from. 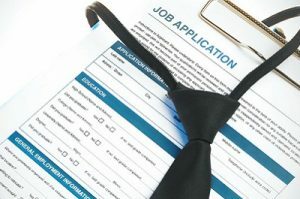 You will need to have a great ad and a sound screening process so you only meet high quality candidates. This is about gathering evidence from your pool of candidates so that you can fairly and objectively compare them with one another. You’ll then be able to make a confident decision as to who is best placed to fill the spot in the team. We’ll look at best practice and how to conduct an ace interview. There is also a separate document with all of the templates that are in this workbook. You can amend these documents for your specific purposes. Click the image below and the document is yours.